Teams from England, Scotland, Wales and Northern Ireland will compete against each other at Mini, Junior and Open grades; all vying to take home the coveted Triple Diamond Trophy. Pony Club Polocrossse Chairman, Jan Whitehead said: “After the resounding success of the first ever Pony Club Home Nations competition in 2015, we are very excited that 2017 will see it return. Nomination forms will be available shortly, and any potential team members should be aiming to represent their Branch or Centre at this year’s Pony Club Championships at Cholmondeley Castle, 19 to 23 August. To play at the Pony Club Championships the potential team members have be Pony Club members by 29th of February 2016. Selection nomination forms will then need to be returned by the end of July. The inaugural Home Nations competition proved a huge success with over 100 players applying to take part. 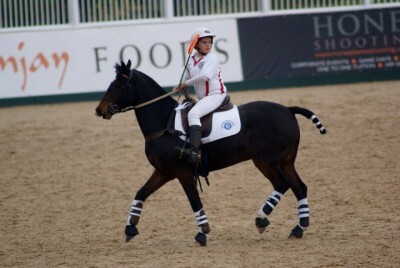 Spectators were treated to some thrilling matches, with players and horses displaying an amazing range of skills. England emerged as the overall victors; also winning the Junior section for players under the age of 16. Northern Ireland won the Open grade and Wales took the top spot in the Mini grade.